Maccaferri is pleased to announce that it will hold the International Rockfall Technical Workshop2013 from 8 -10 October, 2013 in Belluno, Italy. The Workshop will bring together over 240 engineering professionals with interests in rockfall hazards, including rockfall specialists, international researchers from leading global institutes and those from industry for the 3 day event. Rockfall protection and natural hazard mitigation are key elements in the security and safety of road,rail, mining operations and infrastructure networks. Even small rockfalls, debris flows or avalanchescan obstruct infrastructure and have far-reaching economic effects beyond the immediatedisruption. Climate changes could be influencing the increases in frequency and ferocity of these types of events, experienced in recent years. A deep understanding of these phenomena, their cause and scale, is essential to be able to selectsuitable mitigation measures appropriate for the local needs. This is the theme of the workshop; to explore and discuss the phenomena, and propose suitablesolutions to reduce the risk from them. The days will be divided into different stages covering the engineering approach to the problem as a whole, the full-scale testing of works and the presentation of Maccaferri solutions, specific for the various cases. In addition, external experts from around the world will present topics including, open-pit andunderground mining, debris flow, relevant mesh system testing, soil nailing, rockfall design software,snow fences and rockfall embankments. 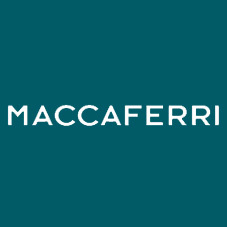 For over 60 years Maccaferri has offered a range of mitigation systems which are used daily to protect people, buildings and infrastructure in different sectors, from mining to infrastructure, usingstate-of-art engineering technology in combination with local knowledge.